For our first Critical Audio selection, we invited Tasmanian radiophonic curators Sisters Akousmatica to create a playlist of risk-taking radio and broadcast art by Australian women. Radio exists everywhere — whether we access it via transmission, or not. Its magic is that it is available to just about anyone, anywhere, and is a potent site for both potential radical action and, very simply, communication between people. Radiophonic technology provides an invisible spectrum of possibilities to invade visible territories. 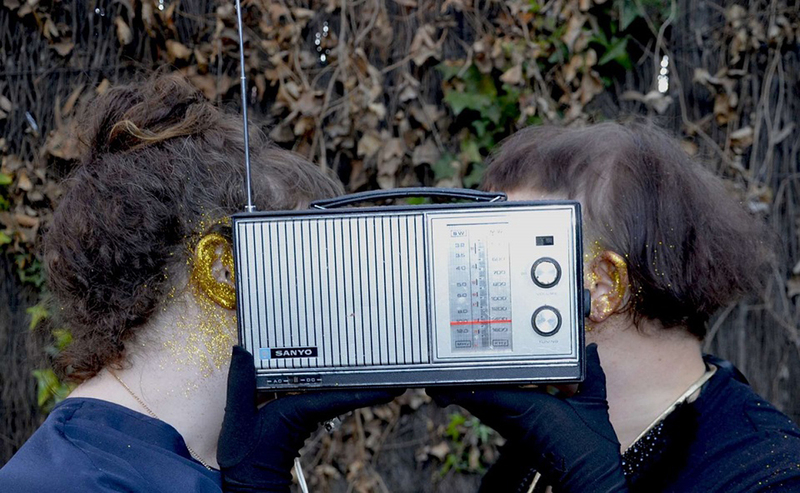 In this context, as a constellatory mode of collaborative performance, we created Sisters Akousmatica, a collective radiophonic project to carry voices of women and gender-diverse artists into the public realm. This tracklist involves radio and transmission artists, some of whom we’ve worked with, and whose work has made an indelible mark on the field in Australia, and internationally. Our first track is by artist and ABC RN radio producer Miyuki Jokiranta. A raw field recording, it’s a poetic combination of sounds that appear to play together, spontaneously, as if directed by an invisible conductor. Field recordists look for the exciting, impromptu and magical moment that vibrates their ears during their sound treasure hunt. Camilla Hannan’s Stargazing for Beginners: Creating Stars is the final episode of an audio series by ABC RN’s Soundproof. In “an age when humanity’s environmental devastation can be seen across the planet,” Camilla questions the repercussions of our present actions for the future by taking a storytelling approach to explain how stars are created. Speaking with astronomers, Camilla evokes an unknown universe of black holes, world-ending meteors and cosmic space-junk disturbances. Sydney artist and lecturer Joyce Hinterding’s Electromagnetique Mix is an audio work using live and recorded sound, video projection, custom built VLF (very low frequency) antenna and audio equipment. The soundtrack surrounds us with detailed electromagnetic sounds — we become tiny insects in an incommensurable universe, lulled by hidden activities. Radio is a musical instrument. It’s often seen as just a vessel for content, but with radiowaves, radios can make sounds in and of themselves. 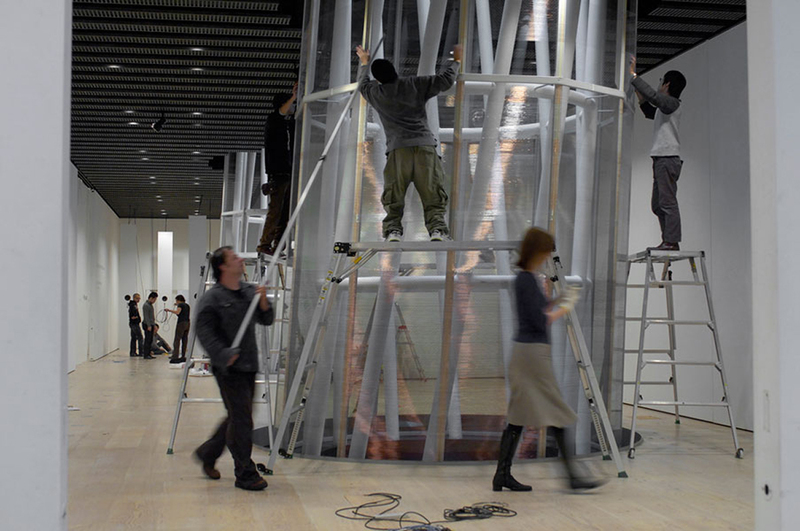 Hinterding reveals the presence of invisible forces through audible resonance via a large-scale handmade copper coil picking up low-frequency radiation from within architecture, the city and from the Milky Way. Nina Buchanan’s Everything is Faster is an exclusive analogue synth experiment for Ears Have Ears on FBi Radio Sydney. The musician and composer semi-improvised the piece at an irregular pace, disturbing the expected dynamic of an electronic soundtrack and meandering between exploding nebulous sonic magma and vibrant single notes. Slowness leads us toward relaxing sounds after the speedy storm. A melody appears and stretches until your heartbeat has calmed down. For our Next Wave Festival broadcast project in 2016, Melbourne-based artist eves used field recordings of crows, the waves and Beech Forest cicadas. She also used analogue delay, reverb, a looper and a signal tester whose frequency could be changed to provide constant sine tone, modulated through a pedal chain affecting pitch, harmony and octave. The haunting, improvised soundtrack was broadcast in the rain under Inge King’s sculpture, Forward Surge, at Melbourne’s Arts Centre. The cello introduced a far away hypnotising and lyricless voice in suspended silence, hanging beneath the great black waveforms on the lawn. In the same project, Melbourne-based musician and composer Rosalind Hall broadcast an abstract and minimal piece in the Arts Centre Testing Ground garden, surrounded by birds and drops of rain, using a laptop loaded with sampled and processed sounds all of her own creation. 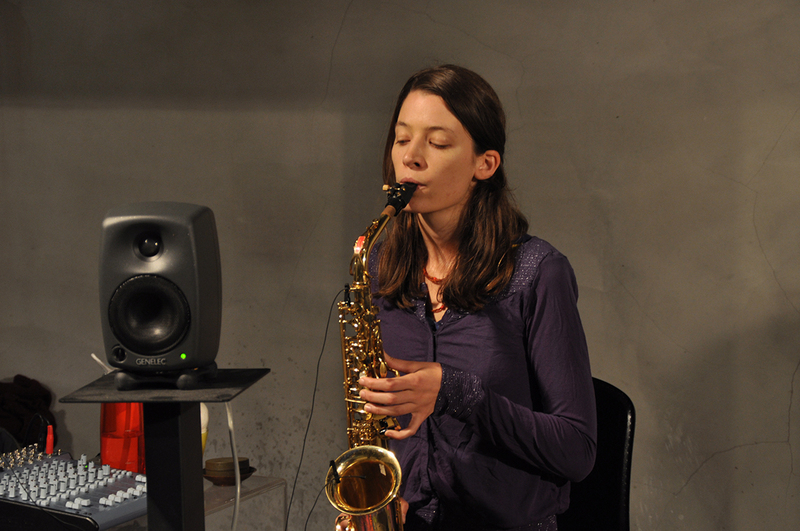 Deploying multiple microphones on her saxophone and throat to amplify her nervous pulse and labouring breath, with speakers, volume pedals and equalisation to form undulating feedback, Rosalind created a soundscape of dependency between body, instrument and presence. In the final work, made by Tasmanian-born artist Sally Ann McIntyre, extinct birds cry across terrestrial transmission, calling to our animal senses, becoming loud and then lost again amid radio static, VLF recordings, the magnetic sounds of bats and tinkling wax recordings. Ending with the extinct Huia bird refrain, this soundscape builds a haunted ecological state, a record of both real and imagined memories and a new sound archive. Top image credit: Pip Stafford, Julia Drouhin (Sisters Akousmatica), Next Wave Festival 2016, photo by Keelan O’Hehir.